The dentists at Dental Care Bridgewater can repair or make cosmetic changes to teeth using a technique called “dental bonding.” During this process a tooth-colored resin (a durable plastic material) is hardened with a special light, which “bonds” the material to the tooth to restore or improve a person’s smile. 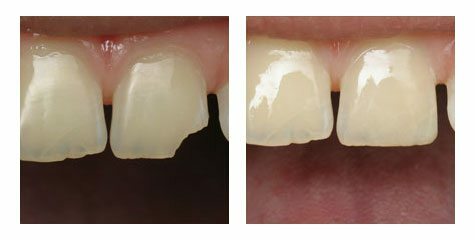 Want to change the shape of teeth? Need to protect a portion of the tooth’s root that is exposed?